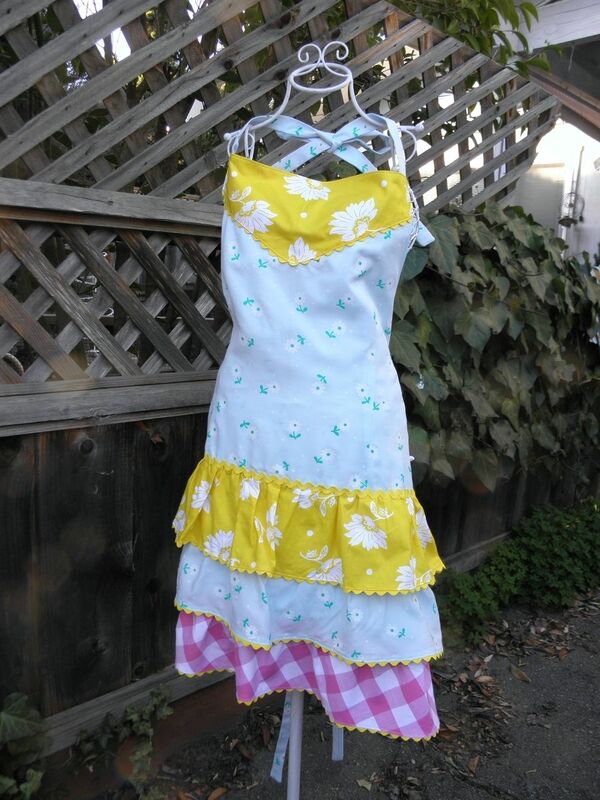 This is a lively and joyful cotton apron in fun springtime colors. I'm happy to add pockets, bows and embroidery. It fits women's size M to 2x and comes lined on the upper half. I have the same apron at home and love it and use it constantly! It's especially handy when you need to do a few dishes in the morning before work and don't want to have to change because of a few splashes! Let me know if you have any questions. Thanks for stopping by!